SUNDAY, NOVEMBER 11TH IS VETERANS DAY AND IN HONOR OF THAT DAY APWA-LAKE BRANCH IS PROUD TO HAVE SERGEANT MAJOR RONALD E. LESTER, USMC, RET. 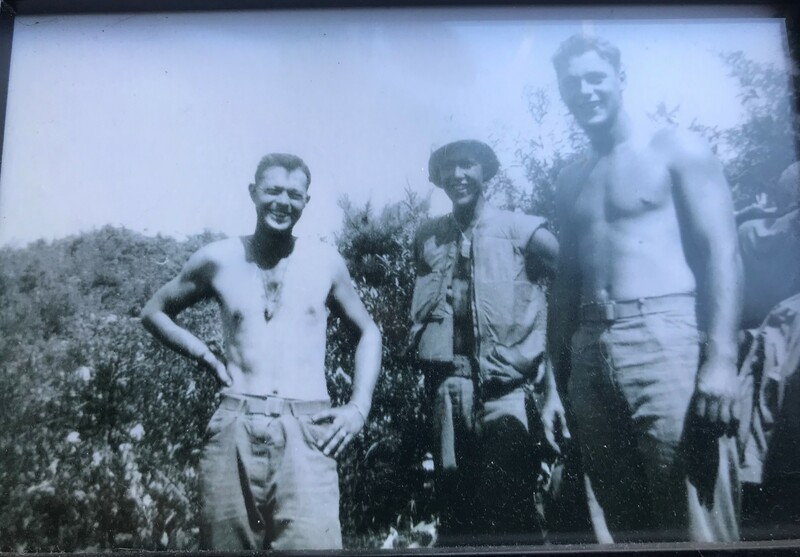 SPEAK ABOUT HIS EXPERIENCES IN THE UNITED STATES MARINE CORPS SERVING IN THE KOREAN WAR. SgtMaj Lester landed in Inch’ŏn, Korea as a young seventeen-year-old Marine in 1950 and served in theater through peace talks in 1953. He began his Korean tour with the 1st Marine Division but ended it with the 2nd Marine Division. It is with the 2nd that he was introduced to the 2nd Shore Party Engineers, who taught him to operate heavy equipment. You will want to hear about the first bridge that he built in Korea. 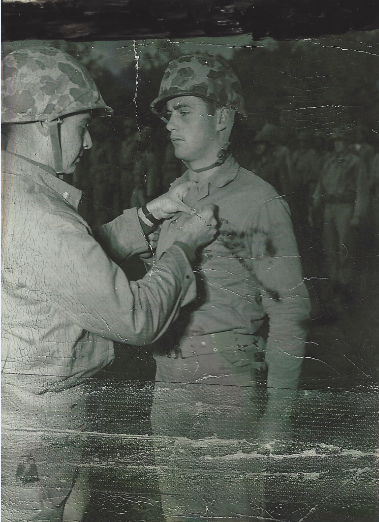 He received numerous battlefield promotions in Korea, rising from Private First Class to Gunnery Sergeant. He was awarded three Purple Hearts and was more recently honored with a Stars and Stripes Honor Flight to Washington DC in 2017. He served in the Marine Corps from 1950-1972, active duty 1950-54. Following his active duty, he brought his talents as an operator home and founded Lester’s Material Service in 1960. There is not much he hasn’t built, from seawalls along Lake Michigan using helicopters to railroad work in Libertyville. Please note, SgtMaj Lester was a Combat Marine, and may tell of some very touching as well as some salty experiences, so be prepared to check your sensitivities at the door! 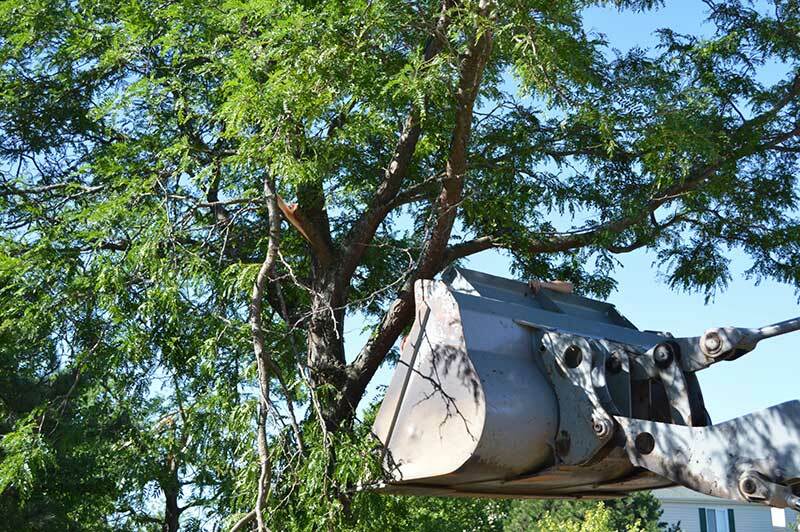 The display was a big hit, with attendees strolling the blacktop among a variety of vehicles including front end loaders, a winged-blade snowplow, Vector vacuum trucks and "Showtime," a huge heavy rescue crane, all on the eve of the start of the Lake County Fair. Visitors included Renee Wagner and her twins, Aiden and Preston, 5, and daughter, Nora. "We saw the Facebook link and Preston loves trucks. We've been here since it opened. Lots to see," Wagner said more than an hour into the event. Anslee Howard said she got a text from a friend Tuesday morning and packed up her 2-year old, Barrett, and supplies for a trip to the fairgrounds from their home in Gurnee. "He's all about the trucks and tractors," she said. Public works agencies want to spread the word of their role as first responders in emergency and other situations. Nick Keller III, community outreach chair for the Lake County branch of the public works group who was tasked with raising the profile of public works departments and workers, originated and pursued the idea to link that effort with a good cause. "We brainstormed a few events, I'm thinking a pancake breakfast, a clean up the river (when) Nick said, 'I got this,'" said Dan Buckelmeyer, president of the Lake branch of the organization. About 26 townships, communities and other agencies and companies participated. "Public works truly are first responders (but) they often go unnoticed," Keller III said. Touch-a-Truck was free, but visitors were asked to bring nonperishable items. The meat of that part of the effort was from collection boxes in 41 locations throughout the county. "I am completely overwhelmed with the turnout," said Andrew Palmer, development officer or the food bank, which supplies 800 food pantries. "We couldn't do it without community efforts like this." Palmer and Keller said a conservative estimate showed about 4,000 pounds of food had been collected, not including what was brought Tuesday. The partners hope to expand to 100 collection locations next year. "We wanted to do something big this year and it turned out better than we hoped," Buckelmeyer said. "Next year it will be bigger." Food Drive and Touch A Truck!!! Transportation and Public Works employees from Lake County, IL Government, and many of the surrounding communities are collecting food to feed our hungry neighbors. All food donations will be delivered to the Lake County Fairgrounds for a huge Touch A Truck event on Tuesday, July 24. Admission to the event is free, but we encourage you to bring non-perishable food items to participate in the food drive. Bring the kids to see all their favorite big trucks up close and personal! Remember to bring your non-perishable food to the Lake County Fairgrounds July 24, 2018, 9am to Noon and let's respond to hunger together! The Lake County Responding to Hunger event is planned for July 24 at the Lake County Fairgrounds in Grayslake. From left to right are Mandi Diver, Anne Baker, Nick Keller III, Kristine Reitenbach, and Lori Lester-Zwilling. Public works and other agencies across Lake County are asking residents to help fill trucks, but the cargo won't be road salt or other materials. Instead, the Lake branch of the American Public Works Association is partnering with the Northern Illinois Food Bank, the Lake County Fair Association, the Lake County sheriff's office and others for a countywide food drive. 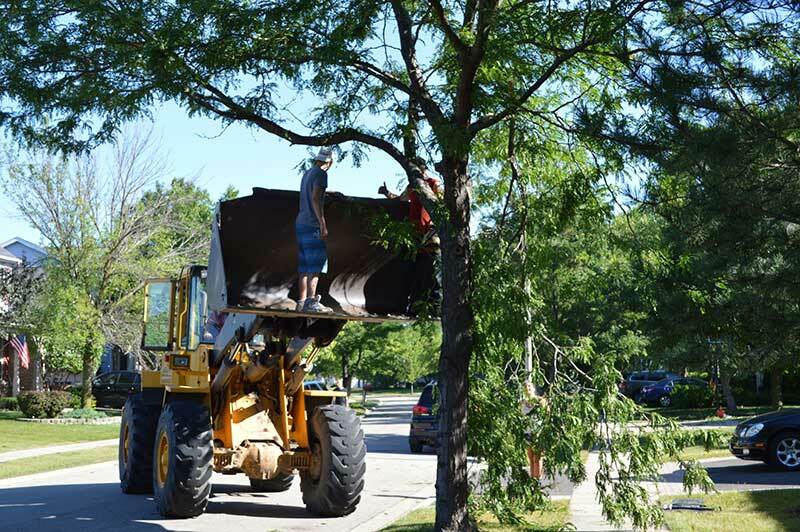 As community outreach chair for the Lake branch of the public works group, Nick Keller III had the initial task of raising the profile of public works departments and workers in Lake County. 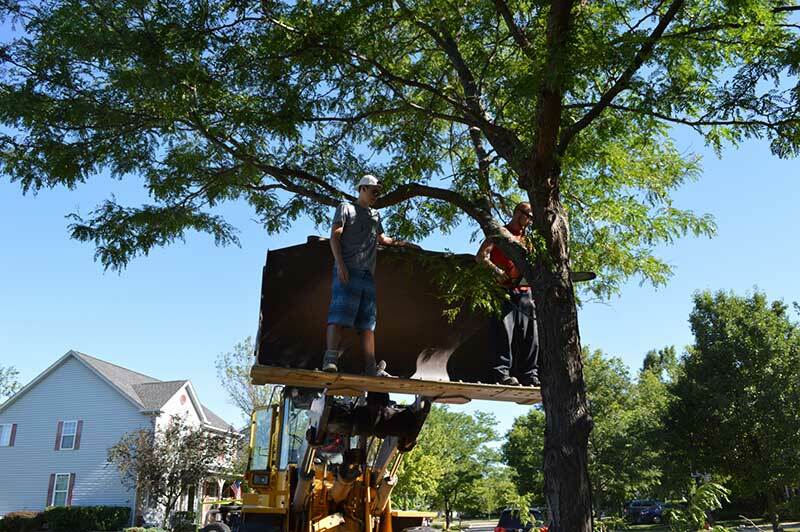 As he began considering possibilities, Keller, who also works for Lester's Material Service Inc. of Grayslake, decided to piggyback the effort with a good cause and began working his contacts. "Everybody wants to care for people. I knew we needed partners," Keller said. The result is "Responding to Hunger" food drive, a first-of-its-kind effort from 9 a.m. to noon Tuesday, July 24, at the Lake County Fairgrounds, 1060 E. Peterson Road, Grayslake, the day before the start of the 90th Lake County Fair. Keller promises it will be the single-largest showcase of public works, township highway and county division of transportation vehicles in Lake County. As of Wednesday, he said he has secured commitments from 13 communities and expects a dozen more in coming weeks. "We aim to make this a big public event with fun activities for the entire family," reads promotional material. The event will include Touch-a-Truck that lets kids get a close look and board supersized vehicles. 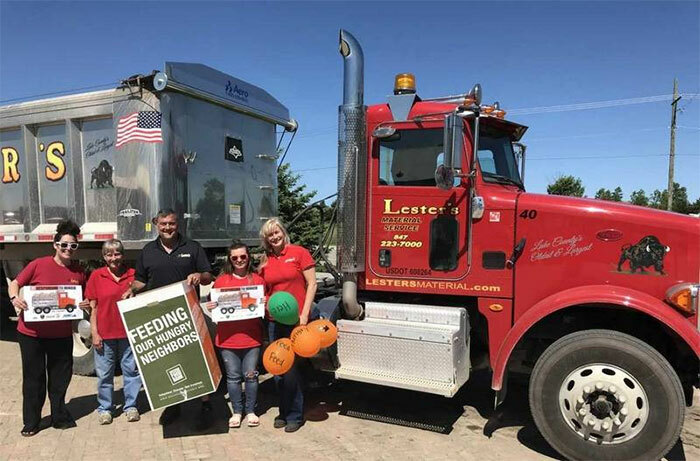 "In addition to our primary goal of providing food to those in need, this event will provide visibility within the community that public works and the Lake County Sheriff's Office stand together in 'Responding to Hunger,'" reads the promotional material. While donations of nonperishable goods will be encouraged and accepted on the day of the event, work already is well underway. Twenty-four food collection boxes have been delivered to various locations, including four in Libertyville, which is making it a competition among village departments. Keller hopes to have 50 collection boxes throughout the county. "We have a box here at village hall," Round Lake Park Mayor Linda Lucassen said. The village could not have weathered last year's flooding without the efforts of public works, she said. "They're always there. You call them in the middle of the night, they don't hesitate, they just come," she said. Keith Dietrich of Lesters Material Service places a new brick in front of the Ansel B. Cook home in downtown Libertyville on Wednesday. The home was placed on the National Register of Historic Places in 2001 (photo on left). Andres Nunez of Lesters Material Service works on the bricks in front of the Ansel B. Cook home in downtown Libertyville on Wednesday (December 6, 2017). The historic home was built in 1878 on the site of the first permanent dwelling in the village (photo on right). The Grayslake community came together to save a furniture store. When the flood waters were quickly approaching the family-run Rudolph's Furniture, volunteers from the community stepped up to deliver and stack sandbags. A crew from Lester's Material Service, as well as staff from nearby The Vine - Martini & Wine Bar and others, were able to prevent the water from completely flowing into the business and causing serious damage. Great to see the community come together in a time like this! If you hear of any of these stories happening in the flooded areas across Lake County, let me know about them. I love sharing these stories. 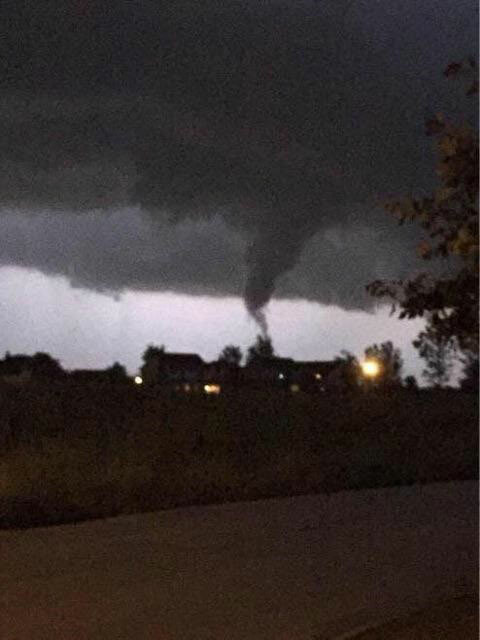 On Sunday, August 2, 2015 at approximately 8 p.m., an EF-1 tornado packing winds between 90 and 100 mph touched down in Grayslake, IL. 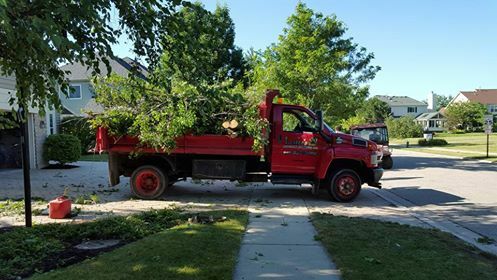 The tornado spread a track of about 300 yards and extended for approximately 7.5 miles, leaving a path of destruction through Grayslake, Wildwood and Round Lake. Residents had not seen a tornado in this area since 2002 even though sirens had previously sounded on many occasions. 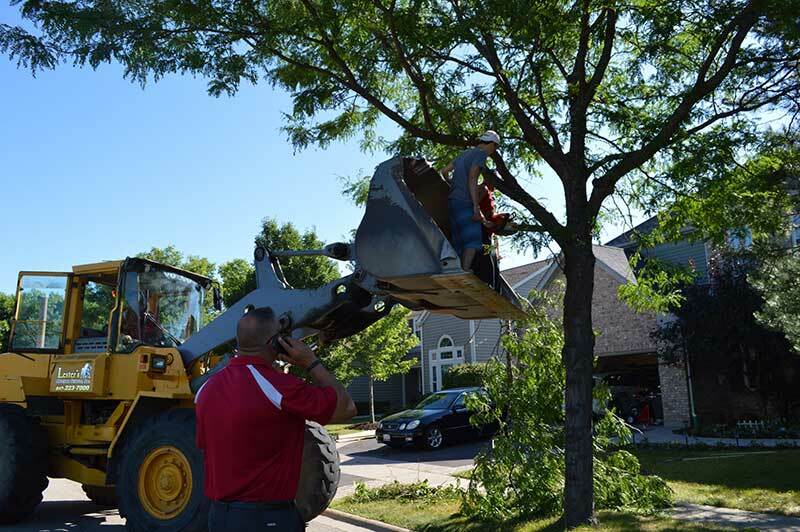 The high winds uprooted large and small trees, caused lawn furnishings and equipment to become projectiles, loosened and removed roof shingles and snapped power lines throughout the area. 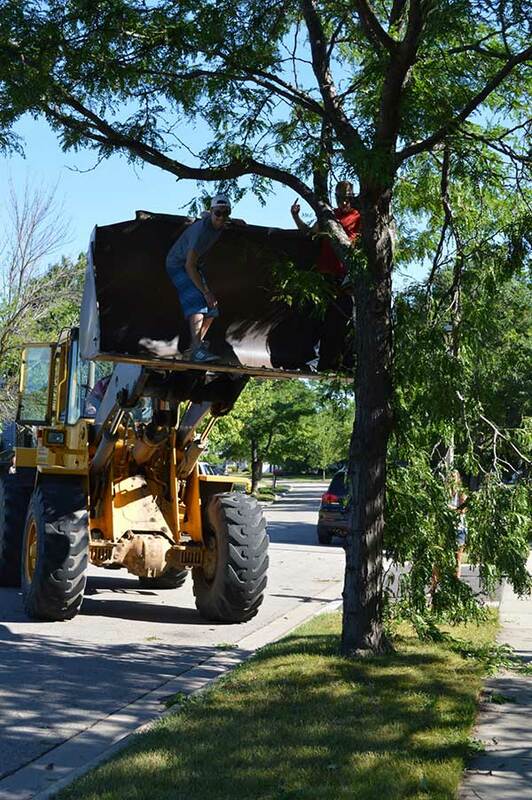 One resident reported that a 12-foot trampoline was lodged in a large tree, having been projected like a missile by the 100 mph hour winds. Officials said it was the worst damage they had ever seen. The owners and employees of Grayslake based Lester’s Material Service are grateful that no one in their community was injured from the storm. 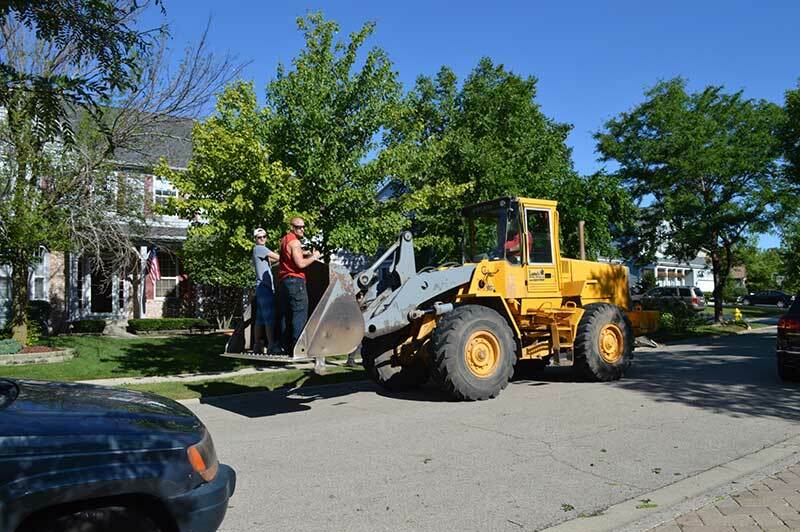 Lester’s has always believed in being a good neighbor and was one of the first to respond to the emergency by providing cleanup and restoration services to residents for the damage caused by the tornado and high winds. “Our family had fun helping out the College Trail neighborhood with clearing out broken trees and debris. Glad we could help out so many homes,” 3rd Generation Tessa Lester said. Lester’s responded immediately at no charge, focusing first on safety, especially around downed power lines and hazards conducive to “slip and fall” hazards. 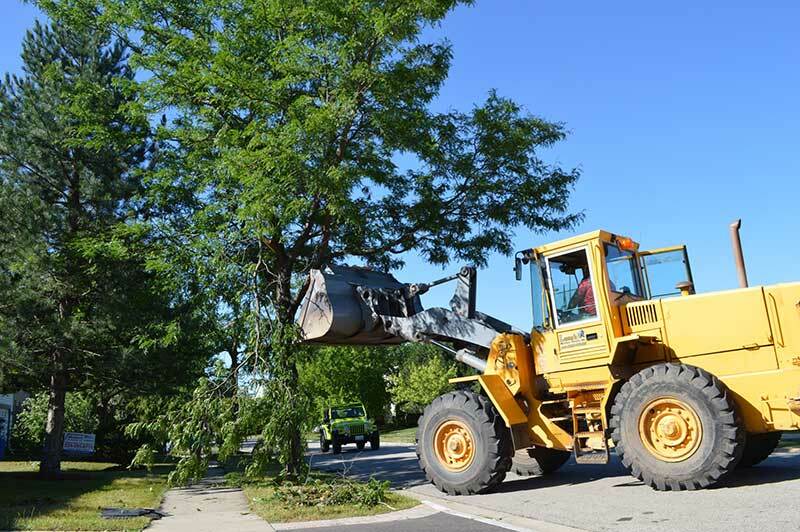 By responding promptly, Lester’s helped residents to prevent fallen trees from causing further damage and helped lessen the damage by restoring homes to as normal a condition as possible. As of this morning, Lester’s Material Services’ cleanup crews were still busy with damage and debris removal. We are part of the community, not just a business!